With summer so close you can almost touch it; this is the perfect time to treat yourself with a sneak peek of what’s to come. And if you’re anything like us, that means you’ve already started thinking about the best holiday destinations in May. There are plenty of perks to travelling in the almost-off-season. These include great price tags on travel and accommodation, as well as escaping the endless queues and crowds of the peak months. During this time, some parts of the world are still nice and cool while others are practically breaking thermometers. This means that the best destinations vary as much in temperature as they do in location, and you can find fabulous spring adventures all over the globe. So, without further ado, from the breezy UK to scorching Caribbean heat, these are what we know to be twelve of the best places to visit in May. Perfect for families or travellers who don’t mind packing a few jumpers, these destinations stay lovely while keeping firmly below the 24°C mark during this time of year. While winters in Madeira can get quite rainy and cool, it is one of the best Mediterranean islands to visit in May when the dry, warm summer weather begins to take its place. 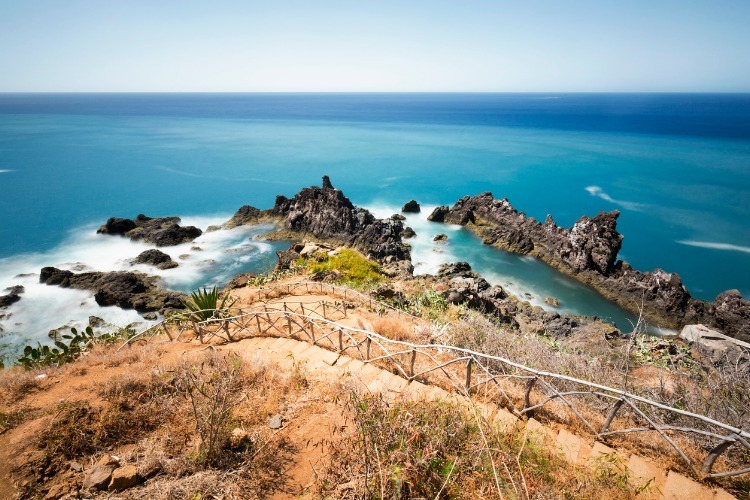 Its volcanic island scenery shows its absolute best face in the west-African sun, and there is no better time to hit the epic walking trails and black sand beaches than before they get too hot. Although the days are delightfully warm and seaside friendly, don’t forget to pack some warmer clothes for your evening explorations. It would be a shame to miss out on the outdoor seating at Funchal’s most charming restaurants simply due to lack of an outer layer. 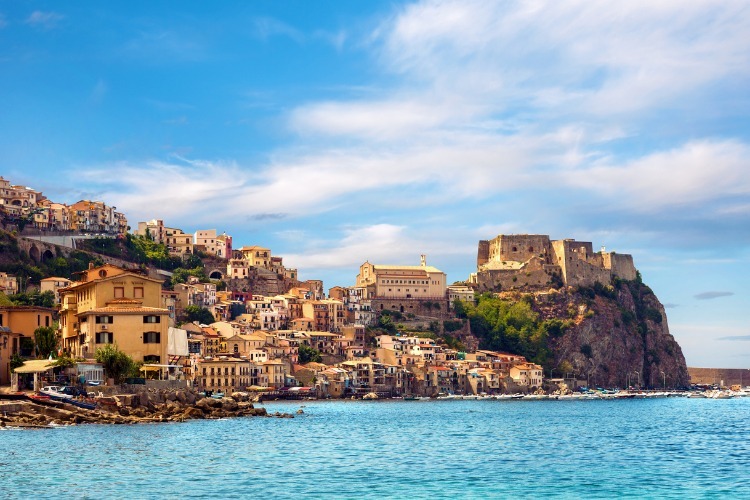 Sicilian summers are known for being long and hot, and by visiting in May, you’ll get the first wonderful taste of the Italian goodness before tourist hordes take over the island. Soak up Sicily’s great historical monuments, lush vineyards and the natural scenery of the island in peace. Then, head to the heart of its ancient cities for some leisurely shopping and dining in the shade – this time of year, you won’t even have to queue up for a table. As expected, evening temperatures will drop down to ‘sweater weather’, but the beach should still call in the sunny midday heat, so bring plenty of SPF and prepare for cool dips in the ocean. We know what you’re thinking but hear us out. Yes, Scotland is known for its notoriously lousy weather, and sure, you won’t be going for mai-tais on the beach. However, Scotland in Spring is one of the best places in the UK so we couldn’t resist putting it on this list. 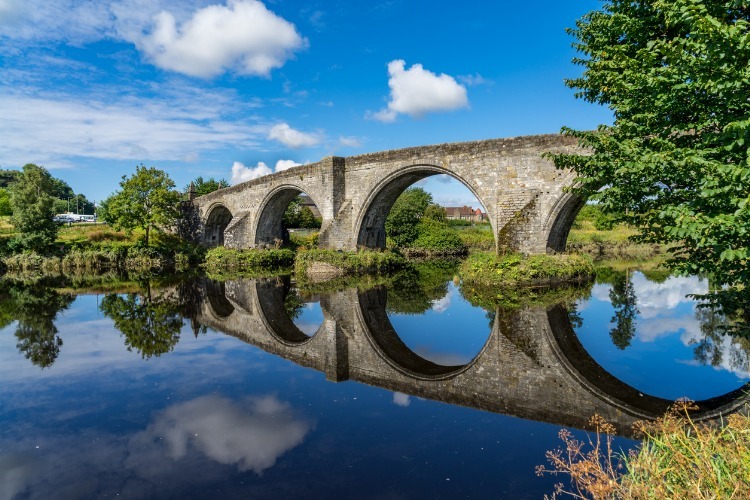 Since this is the time when fruit trees are blooming, and the pesky highland rains become more of a rare occurrence, you’ll be able to appreciate the Scottish landscapes and cities in all their magnificent sunny glory. Enjoy the breeze, put on a woolly hat and explore this cultural treasure as the locals would. We promise you won’t be disappointed. 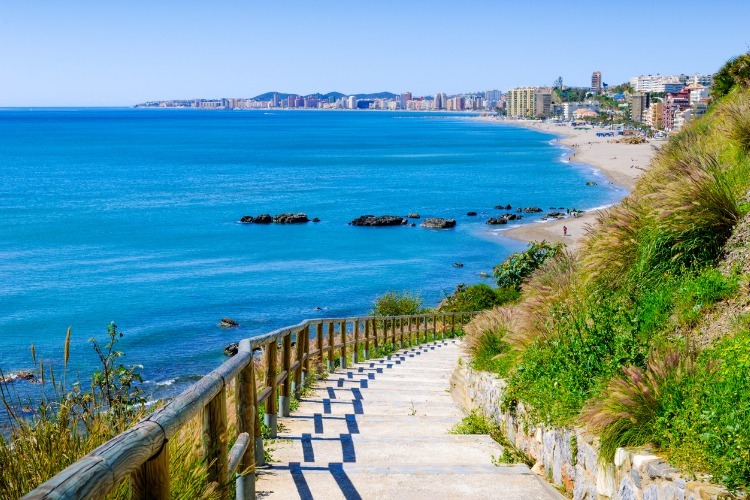 With a name like Costa del Sol, it should come as no surprise that this gorgeous stretch of Spanish coastline offers plenty in terms of sun and fun. While evening outings come in on the cooler side, they are still perfectly enjoyable so long as you throw a jumper on – and you’ll still be able to relish in warmer temperatures all day long. Perhaps play a round of golf at one of the dozens of celebrated golf courses that surround the city of Malaga and enjoy the lack of crowded tees. Or enjoy other outdoor pursuits in the form of beach days, horse-riding in the mountains and hiking in ancient oak forests. If your happy place lies somewhere between 24 and 25°C at midday, these sunny, scenic and seriously relaxing destinations are ideal for the May holiday you’ve been dreaming of. 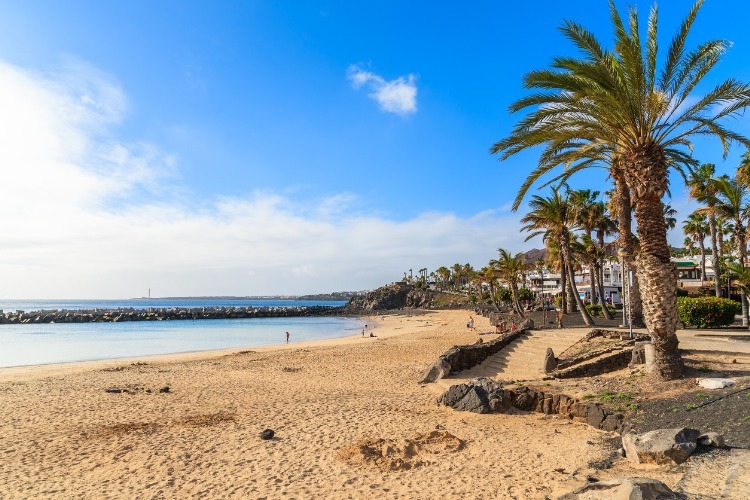 Thanks to its breath-taking volcanic desert climate, Lanzarote stays warm for most of the year. In May, however, it’s just getting its first tastes of summer which means rainfall is a thing long forgotten and the days are long and sunny. All that and no more than a four-hour flight from the UK makes Lanzarote quite the dream destination in the shoulder-season. We couldn’t think of a better time to climb a volcano, explore the mysteries of Timanfaya National Park, tour a vineyard where the vines grow in volcanic ash or take to the beautiful beaches and rock pools. Hiking, cycling and water sports are the favourite local pastimes, so prepare to break up the lounging with some active excursions as well. 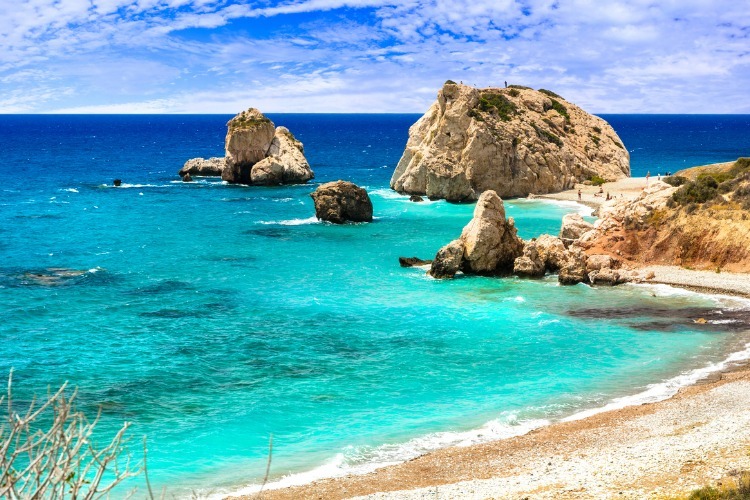 Cyprus’ fortunate location in the eastern Mediterranean Sea means it has one of the warmest climates in Europe, so, that you can count on excellent weather in May. Swimsuits and sunscreen should be at the top of your packing list as you won’t be able to resist the lovely beaches in these temperatures. Take this opportunity to delve deep in the islands mythical past by visiting its historical sites and experience the best of local culture in the traditional old villages. Nature lovers will adore hiking along the coastline during the mild afternoons and swimming in the inviting blue oceans like those of the Akamas Blue Lagoon during the day. With summer rapidly approaching, Rhodes is lush and warm during the month of May, with little to no rain and seemingly endless sunshine. 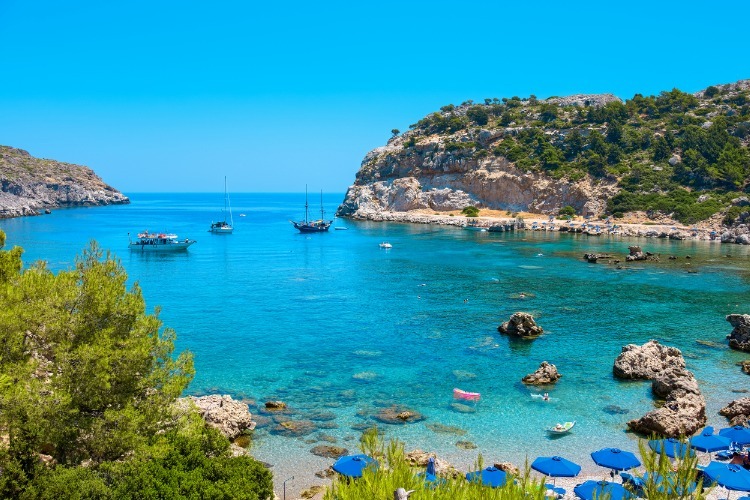 In fact, Rhodes has the longest lasting summer of all its sister islands in Greece, and so it makes for one of the best shoulder-season destinations in the Med. The expansive coastline allows for long and lovely days on the beach, and while the ocean is cool, you can still go for a swim if you’re feeling brave. Once you’ve had your share of sand and saltwater, don’t forget to take a stroll through the UNESCO World Heritage-listed Rhodes Town and explore its cobblestoned old town. 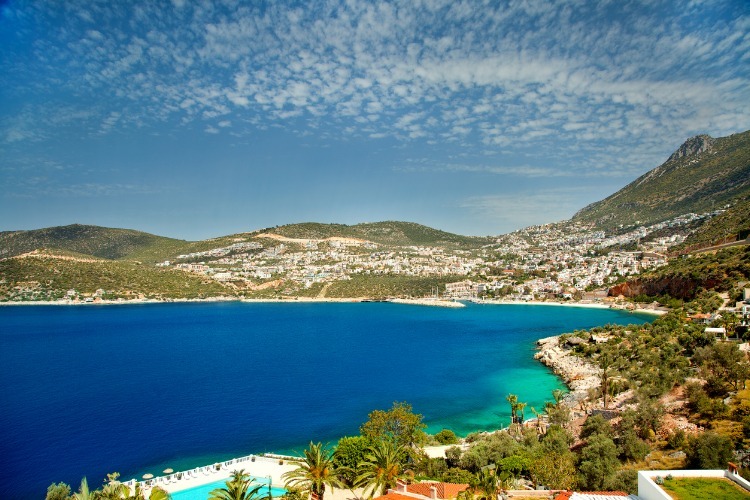 Sunny Kalkan on the south-western coast of the Turkish Riviera is bursting with life in May, as summer begins to show its beautiful face. This seaside paradise calls for lots of beach play, cultural outings and dining at atmospheric gourmet restaurants, and for doing it all over again the next day. One of the best places to do it all is the famous Patara beach, where you can build sand castles during the day, visit ancient Lycian ruins in the afternoon and retreat to one of the nearby cobblestoned towns for dinner at night. Gems like these abound in and around the Kalkan harbours, and you’re not likely to forget them anytime soon. For travellers who revel in sweltering sun, and who like to pack light, these destinations bring new meaning to the word hot. With peak temperatures of 28°C and above in May, they’re a sun-chasers dream. Located in the heart of sunny Florida, one of the southernmost states in the US, Orlando leans toward hot wet summers. In May, however, rainfall keeps to a minimum, and while you can expect a few tropical showers, they’re guaranteed to pass in no time. So why not choose this month to hit the picture postcard streets of America’s theme park central? 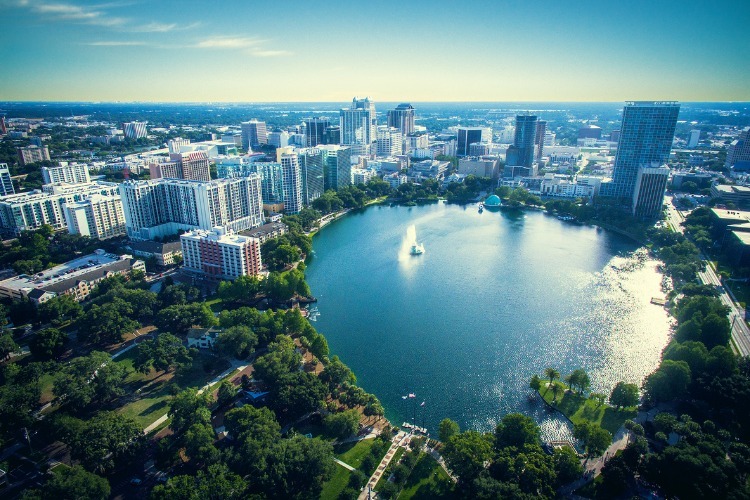 You won’t run across any beaches in Orlando, apart from artificial ones ate the waterparks, but the area has more enticing attractions than you could experience in a week, or even two, of holiday and it’s easy to see why people return year after year. This close to the Sahara Desert, you can’t expect anything but dry heat for days on end – especially in the month of May, before the regular rainfall hits the Atlas Mountains during summer’s peak. 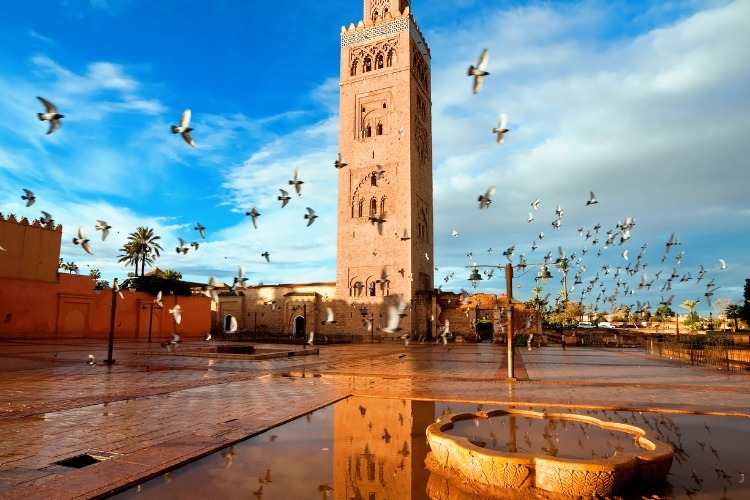 Marrakech, also known as the Red City, makes for a unique and exotic adventure for everyone from honeymooners to big families. This colourful market city offers new wonders around every corner, with tasty foodie delights to match. Its cultural heritage is exquisitely preserved, down to every last souq, palace and religious monument. These are interwoven with gorgeous natural scenery, museums, golf courses and everything else you need for the perfect scorching holiday. Get Inspired: Team Travels: To Marrakech! The Island of Gods is tucked away so close to the equator in the Indian Ocean that it doesn’t really have a cool season. It does, however, had a rainy reason, but make your visit in May and you’re lucky enough just to miss it. 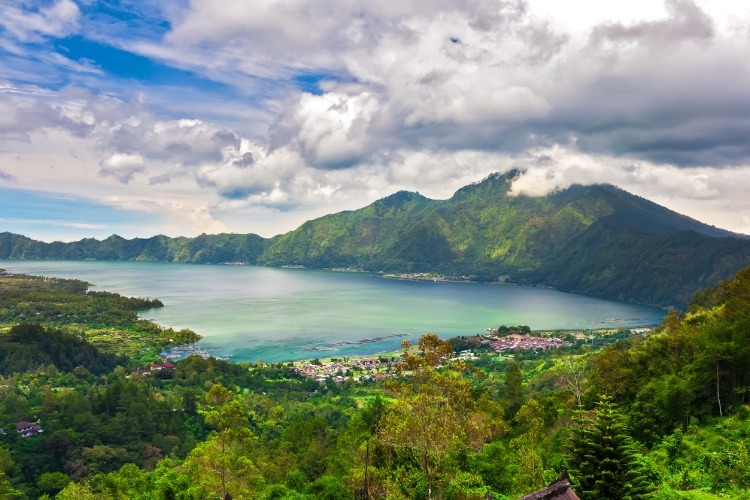 Instead, you can spend long sunny days on the spectacular sandy beaches, visiting old temples, monkey forests, cafés loaded with fresh local food, and taking in the breath-taking views of the island’s unique natural scenery from atop the rice terraces. Expect to hike waterfalls in the morning and immersing yourself in the city culture of Ubud in the afternoon. So long as you can handle the heat, Bali should top your list. 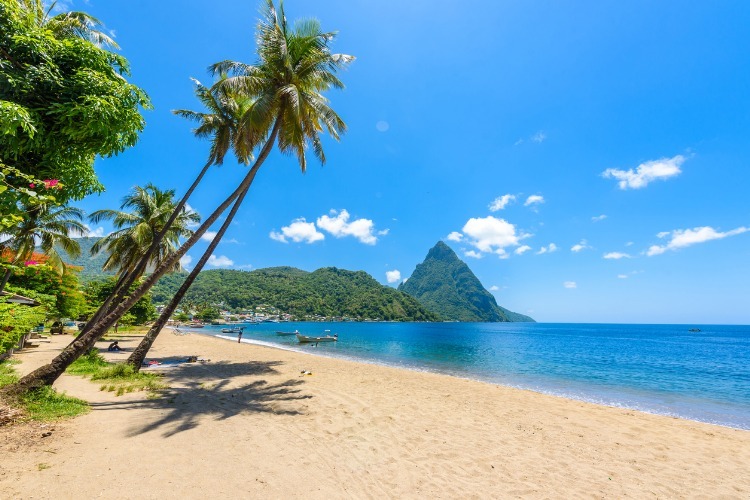 When you think of tropical climates, the Caribbean probably comes to mind, and St Lucia embodies all things Caribbean soul – including the weather. The sun shines intensely on this island during the month of May, creating humidity which is frequently relieved by refreshing showers. Don’t worry, you’ll soon dry off again and can continue exploring the lush volcanic landscape and sipping run cocktails on the beach. Adventure abounds on this island, and active travellers will love hiking or biking the trails that cover it from coast to coast. Get swept up in the natural rhythm of this island, experience the cheerful local culture, and make sure to taste the wonderful cuisine while you’re at it. Get Inspired: The Ultimate Guide to Barbados, St Lucia & Jamaica! No matter what time of year you’re reading this, you’re most probably thinking about all the fabulous adventures you can have this upcoming May. Why not get a head start and get in touch with our concierge team for some help finding the perfect destination, or browse our online portfolio of luxury holiday homes all over the world?